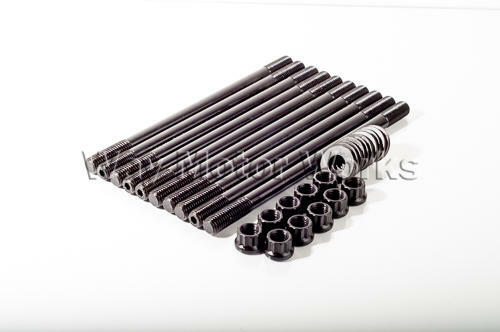 ARP Cylinder Head Stud kit for 2002-2006 R50 MINI Cooper, R53 Cooper S and 2005-2008 R52 MINI Convertible. If your replacing the cylinder head, or head gasket on your MINI this is a perfect upgrade from the stock head bolts. This ARP head stud kit replaces the head bolts with studs and 12pt nuts. The stud kit makes cylinder head installation much easier. Made by ARP so we know it is quality and race worthy. Sold as a set enough for one W10 or W11 MINI Cooper Engine.